NEVER MISS A GOOD STUFF, THIS WILL BE EVERY Audiophile's NECESSITY. ► NOTICE: This is a Pre-Amplifier. You need to connect with power amplifier for using. It can match digital power amplifier, analog power amplifier, active speakers. And the RCA Cable is not included. ► PATENT POWER CONVERSION MODULE: The first preamp with DC 12V power supply, which could be used worldwide. Every audiophile will want one. 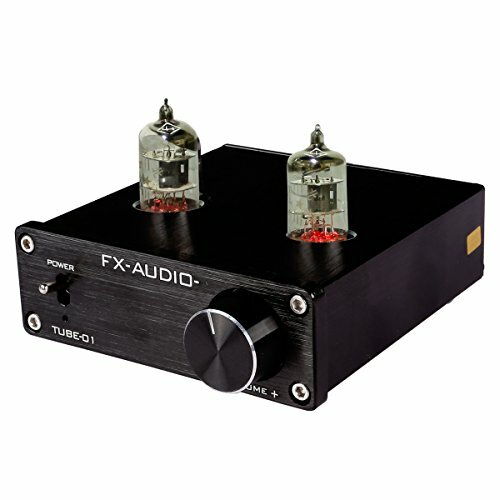 ► CLASSIC 6J1 TUBE: This design optimizes the route and provide soft clear sound. And the tubes could be replaced. This being a hybrid. ► QUALITY MATERIAL: All aluminum alloy shell, heavy gold PCB, gold-plated interface. If you have any questions about this product by FeiXiang, contact us by completing and submitting the form below. If you are looking for a specif part number, please include it with your message.